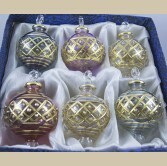 Mouth blown Egyptian glass ornaments made from the finest Egyptian glass the same way glass was manufactured thousands of years ago. 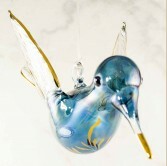 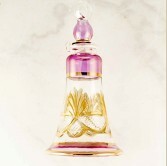 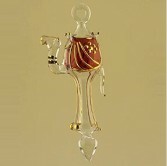 The glass is heated and shaped in a beautiful piece of art, Hand engraved by our skilled artists and lined with pure 14 k gold. 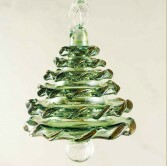 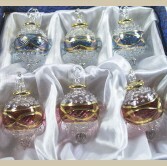 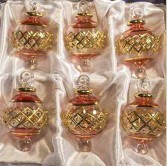 Our Egyptian glass ornaments comes in various sizes, different colors and in more than 500 designs hand crafted specially to add a touch of elegance to a memorible Christmas celebration. 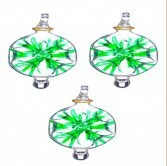 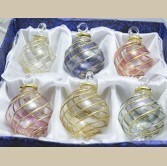 round stripped Xmas Ball ornament. 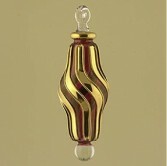 Hand blown Egyptian Christmas ornament with 24k gold linin..
- Mouth Blown Egyptian Glass Christmas Ornament. 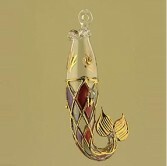 - 14k Gold decorated - Handm.. 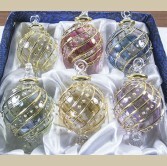 Round Xmas Ball ornament. 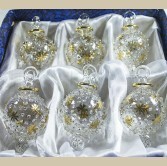 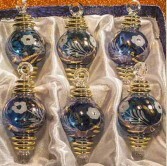 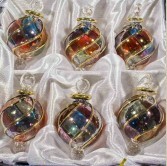 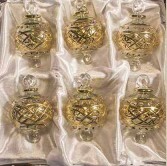 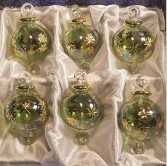 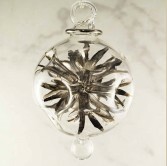 Hand blown Egyptian Christmas ornament with 24k gold lining. 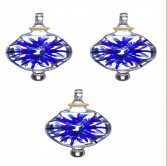 The Ch..